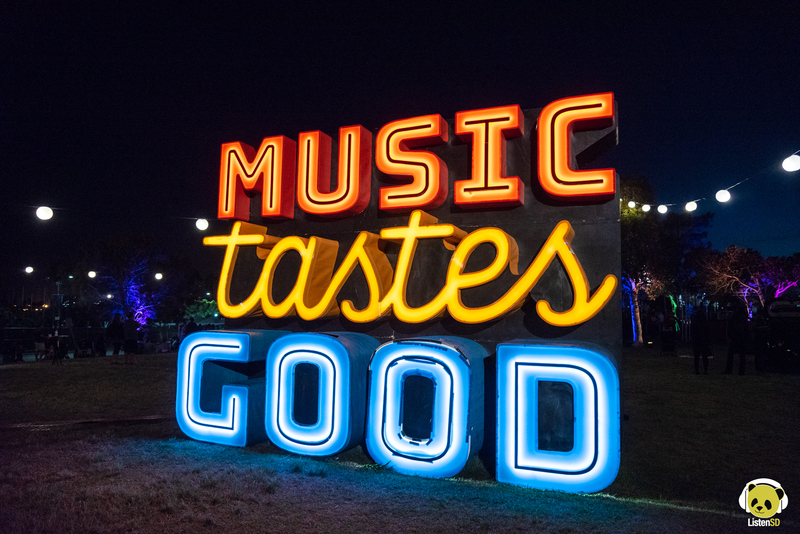 Music Tastes Good featured high caliber artists alongside expertly crafted culinary dishes. Who doesn’t love eating and listening to live music? 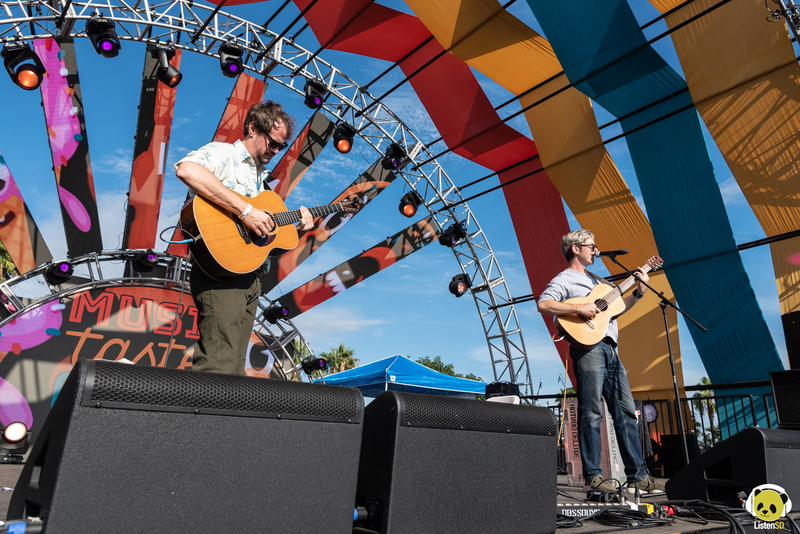 Perhaps a rhetorical question, but Music Tastes Good delivered a festival that celebrated the love for both with their third annual festival. 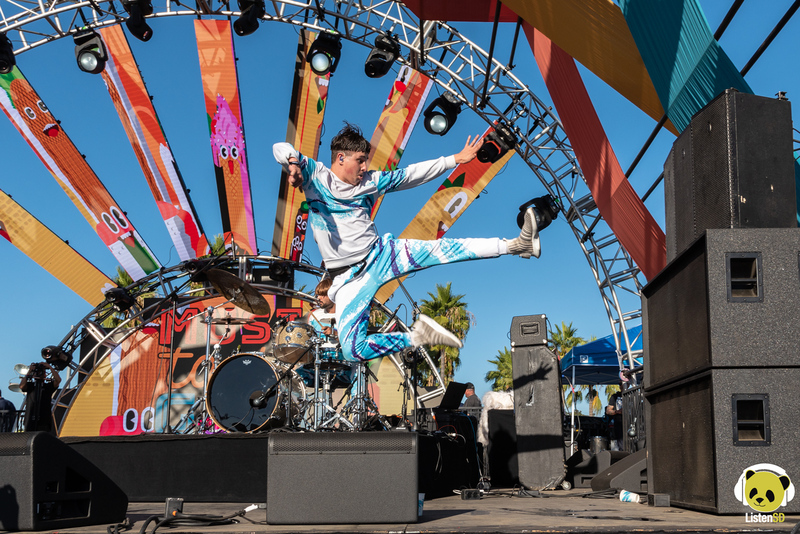 Set in Long Beach’s beautiful Marina Green Park, the festival featured heavy hitters like New Order, Joey Bada$$, James Blake, and Janelle Monae, but also maintained a solid group of under-cards that stood out in their own right. Separating the two stages, the spacious Taste Tent beckoned festival goers to peruse the chef stands and festival organized talk shows throughout the day. 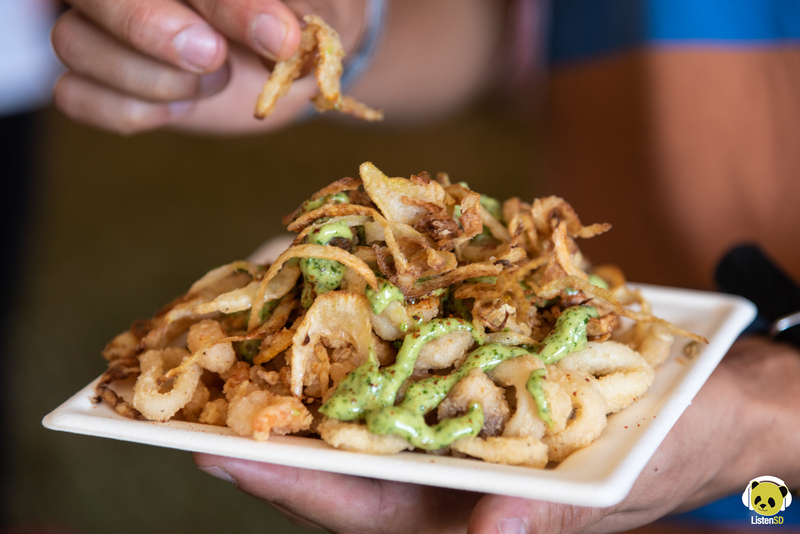 Surtido de Frituras (created by Chef Pat Manning at Toro Bravo) had shrimp, anchovies, and calamari doused in lemon, green harissa mayo, and fennel. In a fit of pure gluttony and madness, I rushed back to order a Chicken Fried Mushroom Po Boy (Michael Thiemann at Mother) that had aioli that perhaps would make the most beautiful angel shed a tear on how savory it was. I sampled the Heirloom Melon Salad (Jason Witzl at Ellie’s), a dazzling array of sweet and salty flavors. The sweetness of the melon complimented with marinated shrimp in the best possible way. 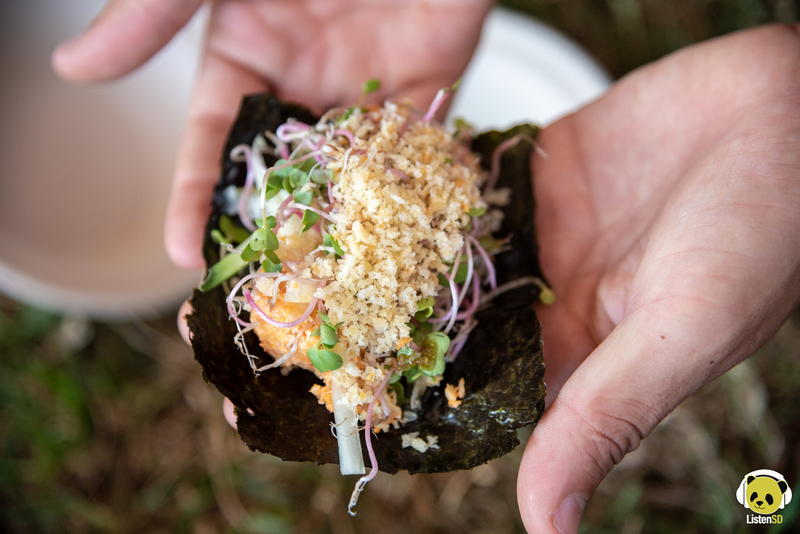 Most noteworthy was the Chef Nancy Leon’s Seaweed Baja Taco, based from Tijuana’s Chan’s Bistro. A fascinating fusion of Asian and Mexican elements, the taco’s ‘tortilla’ was a seaweed roll filled with snow crab, mackerel, avocado, lemon, and the cutest little Shiso micro greens I’ve ever laid my eyes on (yes, I had to look it up). Saturday started off to a blast of post-punk, with U.K. lads Shame on the Franklin stage (dedicated to the late Arethra Franklin). 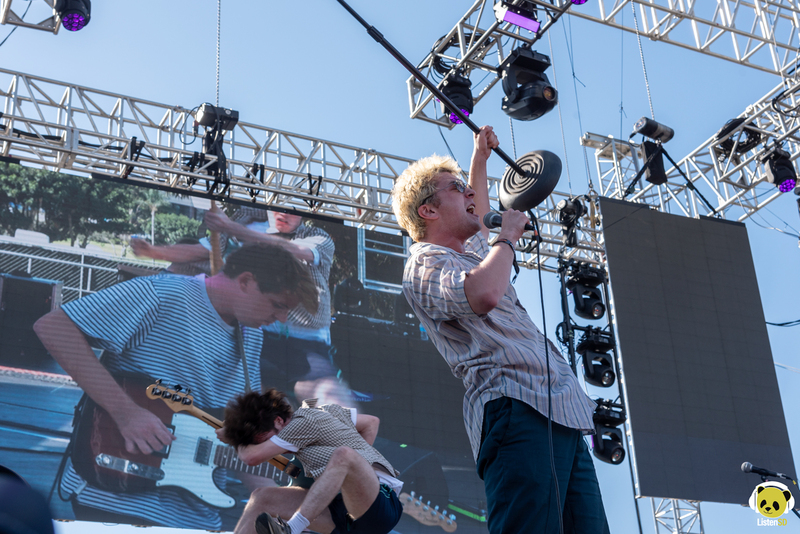 The energetic group admitted it was their first time in Long Beach and playing an American festival, which they definitely showed that they have the capacity to rock to a much larger audience sooner than later. Oliver Tree, a pop/hip-hop artist, rolled out on his razor scooter and massive parachute jeans (yes, you heard me right) to his opening song. A crowd of dedicated fans were screaming every word to summer anthems “All That” and “Alien Boy”. It was hard to tell what I was watching; a living and breathing meme, or a pop star on the cusp of exploding on the music scene. Amid multiple costume changes, Oliver Tree ended his set with an outfit that made him look like a human sized Solo cup. 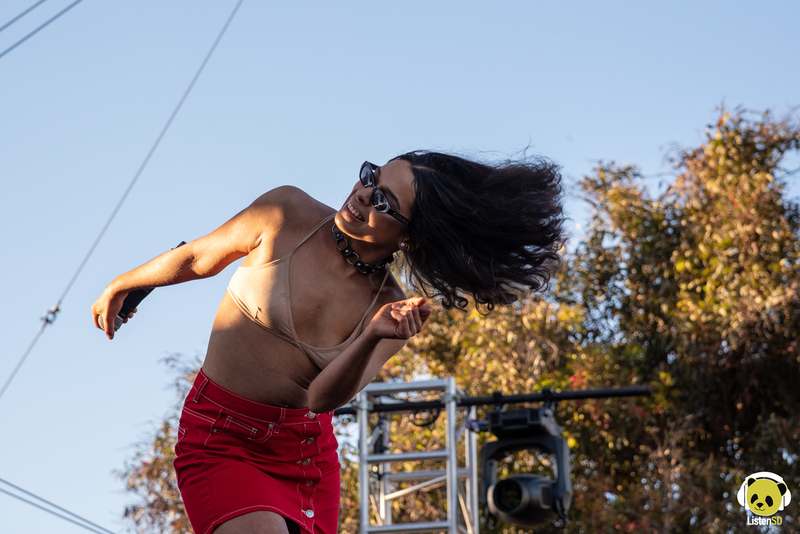 Princess Nokia and Santigold played to a steadily growing crowd. These strong female performers kicked the energy up for the crowd. Princess Nokia’s searing rap flow had her fans whipped into a fervor for the first few songs. Santigold stormed the stage with back up dancers and extra large fruit floaties. Her tropical pop jams traveled through the crowd to the sea. As a result, she has perfected the sunset festival performance. The crowd exploded with excitement as New Order began playing “Singularity” off their most recent LP, Music Complete. The band went on to play a career spanning set, even touching into Joy Division’s discography briefly for the encore. While New Order was playing through Blue Monday to a packed and lively crowd, Joey Bada$$ finessed the crowd with his instinctive humor and sharp lyrical wit. He proved to be a masterful MC with an important message to share. Sunday began with a combination of danceable and tasteful percussion, the breezy latin pop songs of LADAMA serenaded the afternoon crowd. The female led members hailed from four different countries (Colombia, Brazil, Venezuela, Brooklyn). It was a treat to hear the interplay of each culture mixed into the beautiful project. Bill Callahan, aka (Smog), played one of best sets of the festival. The reclusive artist played solemnly, with gentle subtleties, and masterful finger-picking guitar. The music interacted with the busy downtown sounds of Long Beach, which was fitting in some inexplicable way. Parquet Courts perhaps started the only mosh pit of the weekend, coming off the heels of their Danger Mouse produced Wide Awake!. 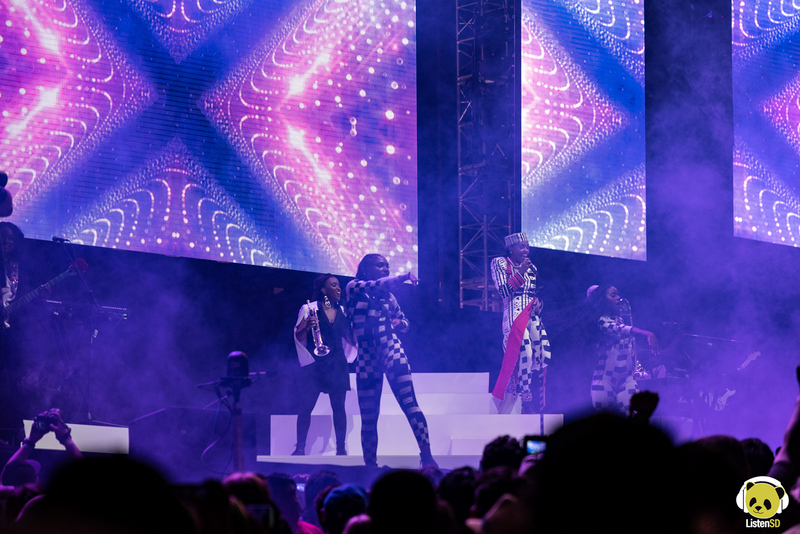 Following them was the one and only Janelle Monae and her amazing production team, who provided a set of psychedelic soul funk set to incredible dance routines. The crowd was at it’s peak for her set, and her control of the audience was proof of it. 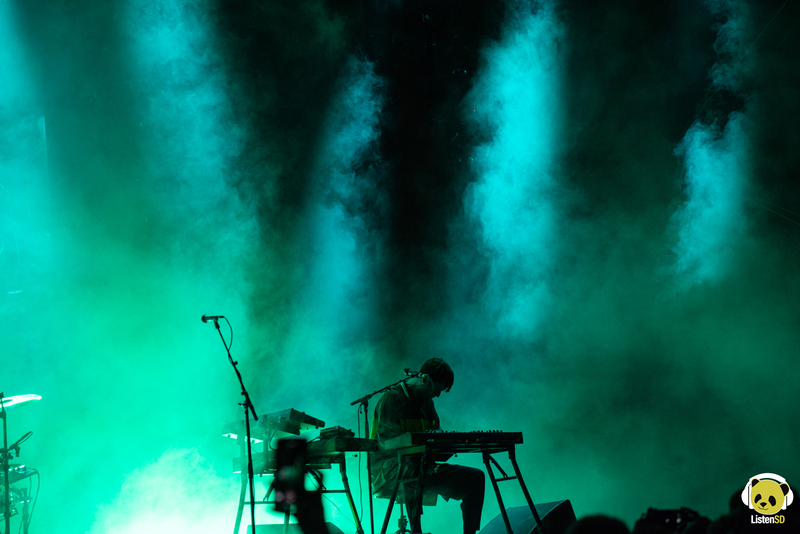 James Blake closed out the festival with a legendary set spanning his three incredible albums, covers (Bill Withers, Joni Mitchell), and unreleased songs. The digitized, sparse, yet somehow driving rhythms of “Life Round Here” brought the crowd in closer. Ending on Joni Mitchell’s “Case of You,” it was a heartfelt and gorgeous way to send off the weekend. 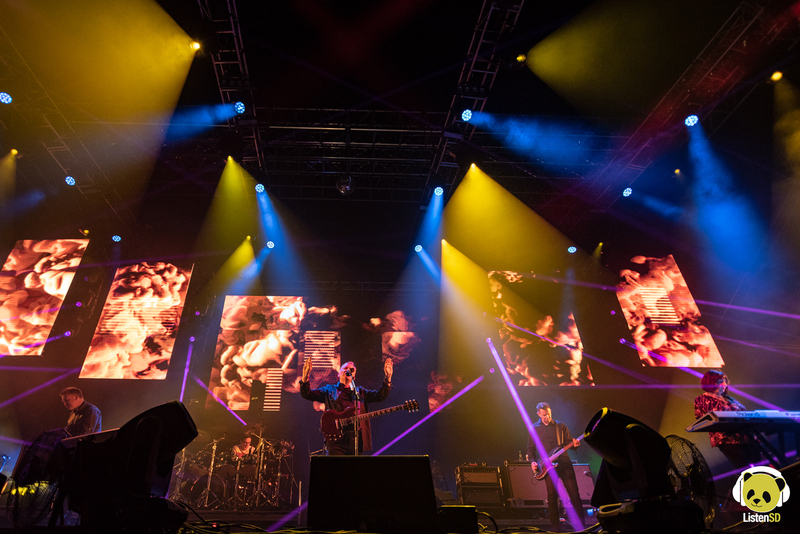 In reflection, Music Tastes Good has shown that their take on the festival scene improves each year. Keep an eye out for this festival. Maybe you’ll discover your new favorite dish or artist.